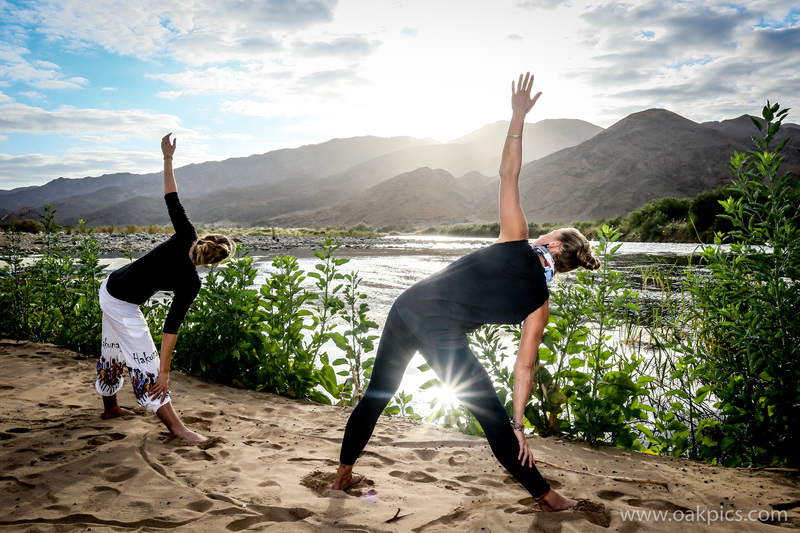 Immerse yourself in a 24 day long, teacher training experience in the quaint town of Stellenbosch for your 200 Hour Yoga Teacher Training Certification (YTTC). Situated at Little Studio, you will be able to live the yogic lifestyle while training to become a yoga teacher. To become an authentic yoga teacher, a deep understanding of the material as well as an embodied understanding is necessary. A holistic approach to oneself and lifestyle is important. By immersing oneself in the daily routine of this teacher training, you will not only learn the theory but also have an opportunity to learn from the experience. In this intensive course you will learn about the philosophy of yoga, its history and how this relates in today’s world, yoga theory, anatomy and physiology, yogic language, class sequencing, chakras and energy centres, the importance of the breath and specific breathing techniques, mindfulness and meditation, as well as many ancient tools for healing and alignment. 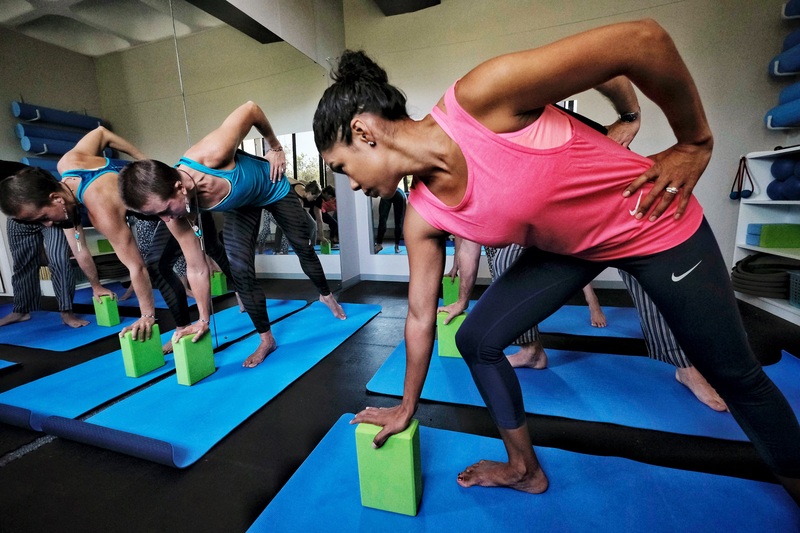 You will be a certified through the Yoga Teacher Fellowship (YTF), but you don’t have to do this course just to teach yoga. It is a transformational experience which will enrich your life, whether you intend to teach or not. The knowledge and teachings are here to benefit you as a human being and as a yogic practitioner. A Yoga Teacher Training is a life changing experience! Human Anatomy & Physiology (including an understanding of the health benefits of yoga techniques and the precautions/contraindications). Different Types of Yoga (Karma Yoga, Bhakti Yoga, Jnana Yoga, Raja Yoga). 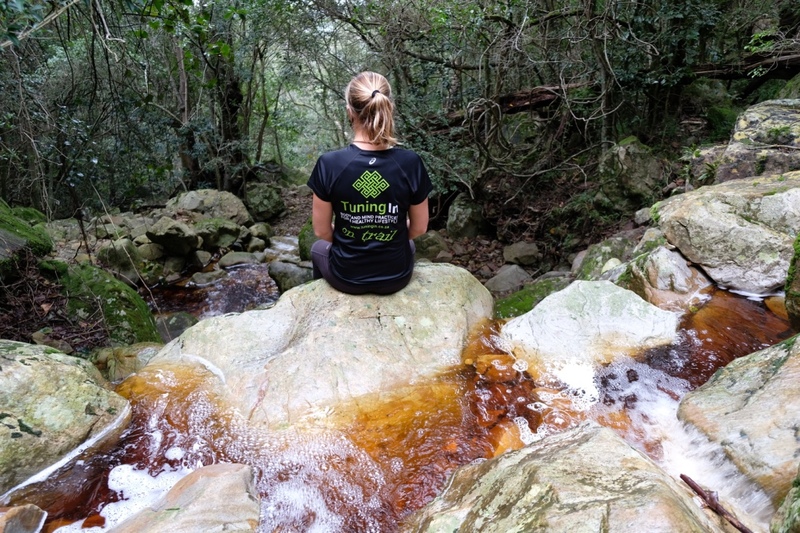 This full 200 hour Yoga Certification Programme includes in-depth, authentic teachings with Yoga Teacher, Movement Specialist and Transformation Facilitator, Fran Siebrits (more about Fran: www.tuningin.co.za). You will gain insights into the deeper aspects of yoga and have many opportunities to practice living a yogic lifestyle. Due to the nature of intensive trainings, we will decide on tea/lunch breaks as the course unfolds. It is advised to clear your schedule and only focus on this training for the duration of the course. Theory and practical learning throughout the residential training is accompanied by residential ashram-based yogic lifestyle. Participants are required to attend all sessions for the duration of the training. R29 500 (VAT included) | A deposit of 50% is required upon booking. Remainder to be paid in full before the commencement date of the course. Cost includes course material, teaching experience & feedback, graduation certificate, all classes at Little Studio for the duration of the training. Contact Fran for inquiries and bookings. Sundari Lalita Devi (Fran) has been initiated into the a yoga lineage dating back to the origins of yoga, and has been given the blessing to teach from her Guru in India, at the ashram Yoga Vidya Gurukul. Since her early 20s she has been deepening into a lifestyle of yogic practice, and has been involved in teaching training courses since 2016. 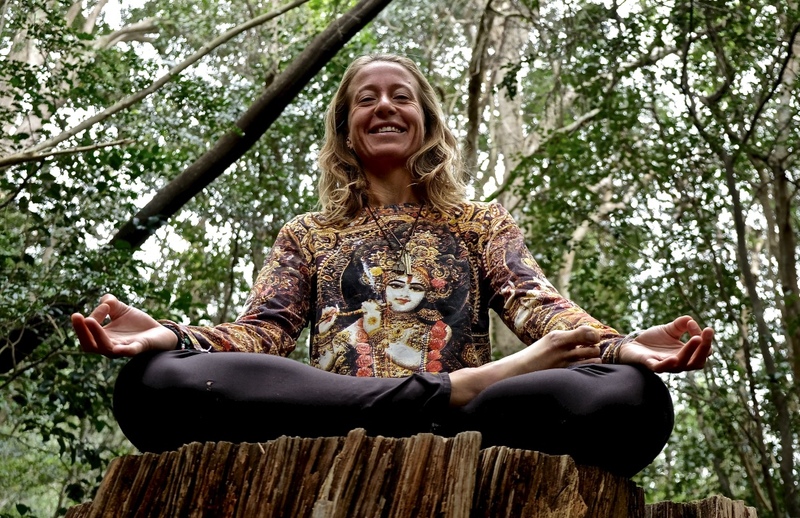 She is a member of the Yoga Teacher Fellowship in South Africa, through which she certifies her students for their 200 Hour Yoga Teacher Training, an internationally recognised qualification. 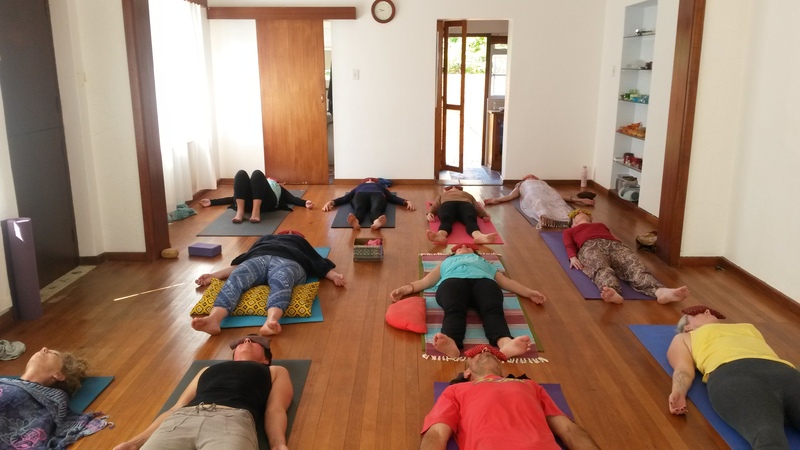 Fran's instructor beginnings found their roots at Ananda Sanga Educational Institute (ASEI) in Somerset West, where she completed her internationally recognised 200 Hour Yoga Teacher Training Certification. She further qualified in Pre- and Post-Natal (Pregnancy) Yoga as well as the healing MYYO Technique through ASEI. Naturally, this lead to travels and training in India. On separate occasions she trained further in the deeper aspects of the bodymind from inspiring teachers at Palpung Sherabling Monastery (Palampur, Himachal Pradesh) and Yoga Vidya Gurukul Ashram (Nashik, Maharashtra) where she completed her 500Hr Advanced Yoga Teacher Training Certification at Yoga Vidya Gurukul. She has also had the honour of meeting His Holiness the Dalai Lama at his residence (Dharamsala, Himachal Pradesh). She has also trained and certified in Budokon Yoga, a strong and powerful practice combining Mixed Martial Arts and yoga movement forms, and Aerology, aerial movement and mindfulness. She has had the privilege to facilitate and lecture on a number of teacher trainings and courses. However, it is the 'forever the student' attitude that motivates her to continue exploring this life long journey of yoga. Fran's intention is to promote the use of yoga to assist balance and healing. 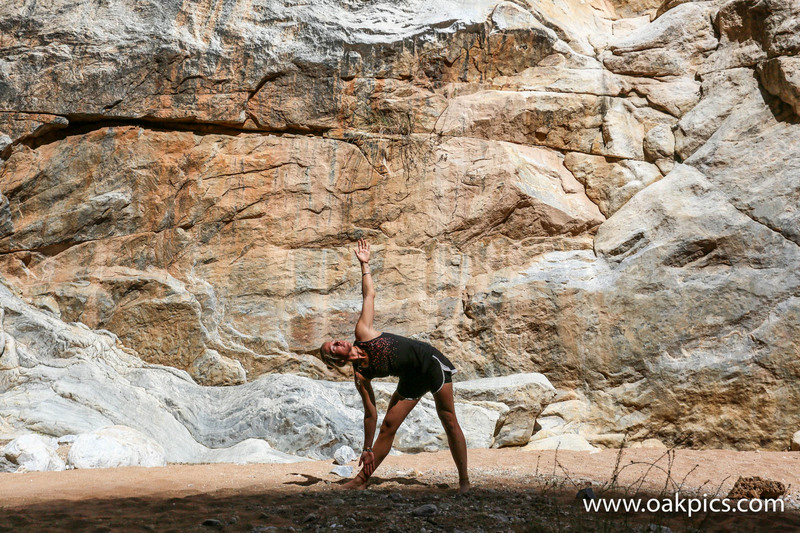 Her practice, training and teaching style is spiritually based with its roots in Integral and Hatha Vinyasa Yoga. Typically, Integral Yoga classes consist of a carefully selected and intelligently sequenced series of asanas (physical yoga postures), pranayama (breathing techniques) and yoga nidra (deep conscious relaxation and visualisation). 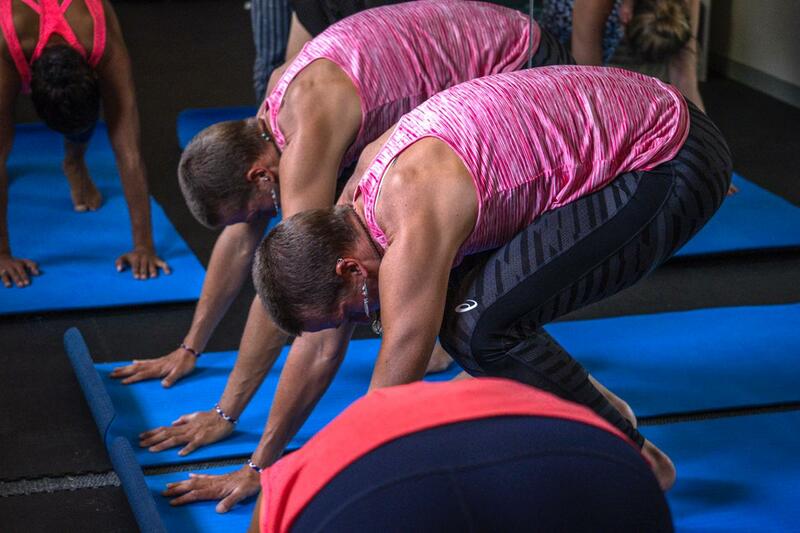 Vinyasa (flow) is an important aspect of all classes, building up to a main asana and a calming down thereafter. With the diverse tool-kit she has acquired over the years, she shapes her teaching to best reach her students. 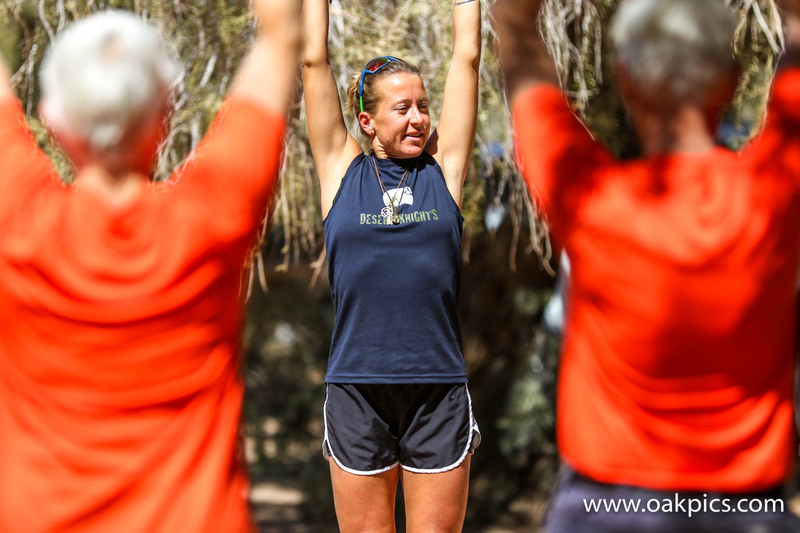 Fran believes that anyone who can breathe can practice yoga: it is for everyone!